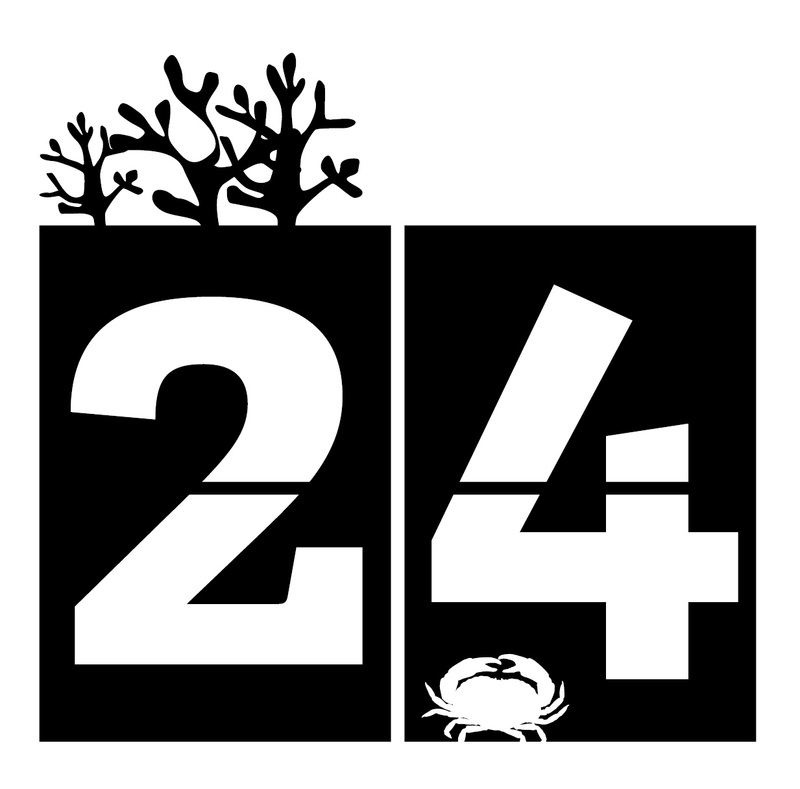 It’s Day 24 of 30 Days Wild and we were up Stoke on Trent way visiting Chris’ mother for her birthday. Stoke on Trent doesn’t immediately conjure up nature for me, but you don’t have to go far out of the town to get into some lovely countryside. We had lunch in a quaint little pub in the village of Cheddleton, where his Mum grew up; then went for a walk along the Caldon Canal. 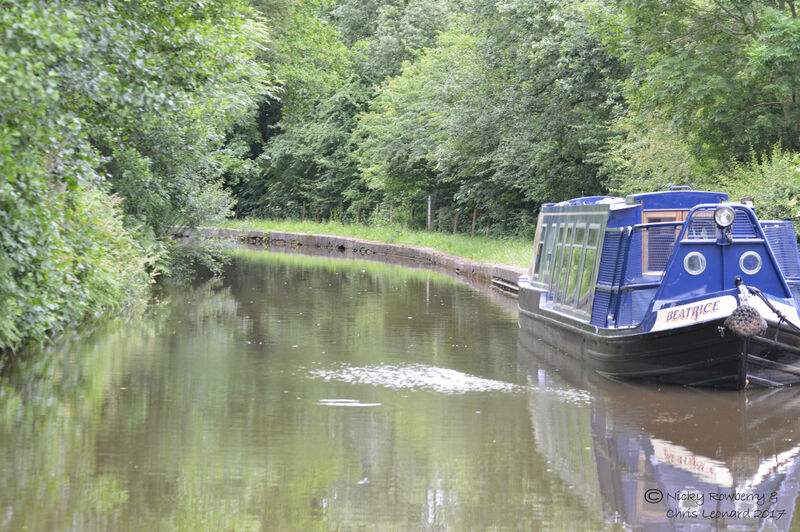 The canal was built in the late 18th century to carry limestone to the potteries of Stoke. 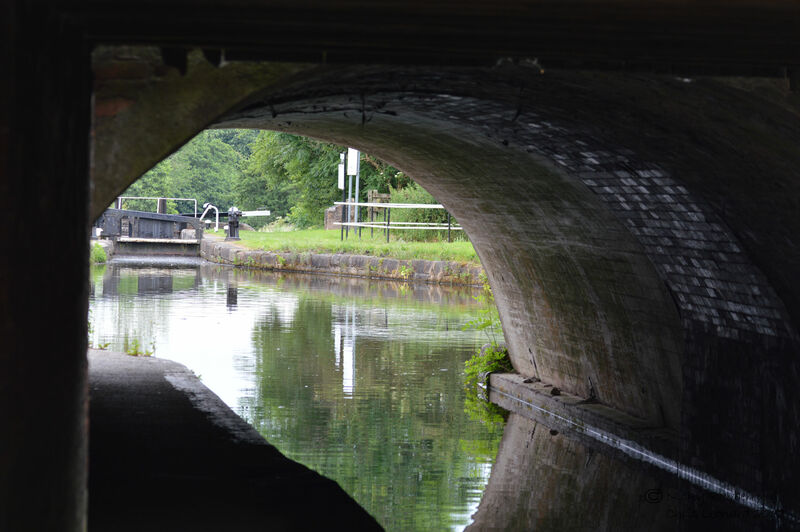 The section we walked along has been restored, so we strolled along the towpath and peered into the lock. No canal would be complete without barges. There was one moored up that you could hire some days (sadly not today) for trips up and presumably back down the canal. 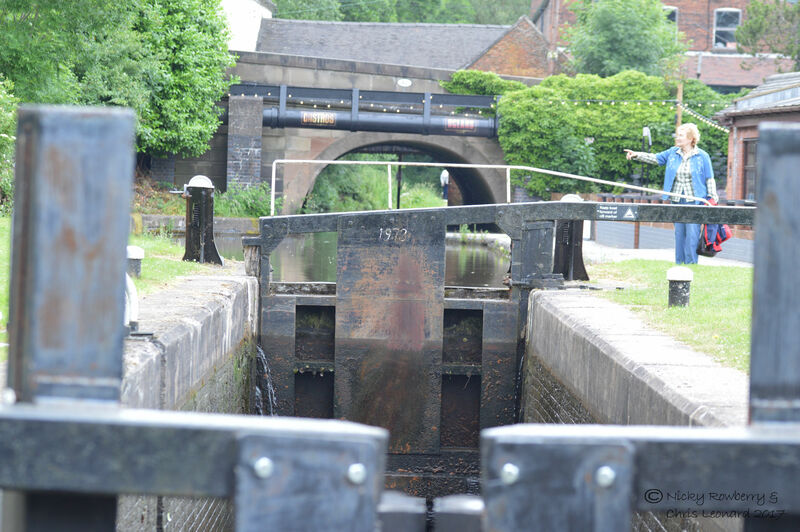 And while we strolled one passed us heading down towards the lock. It looked like he’d got a box of salad leaves growing on the roof! As always we were on the look out for wildlife; surprisingly this was one of the few places I’ve been to in June that didn’t have dragonflies! 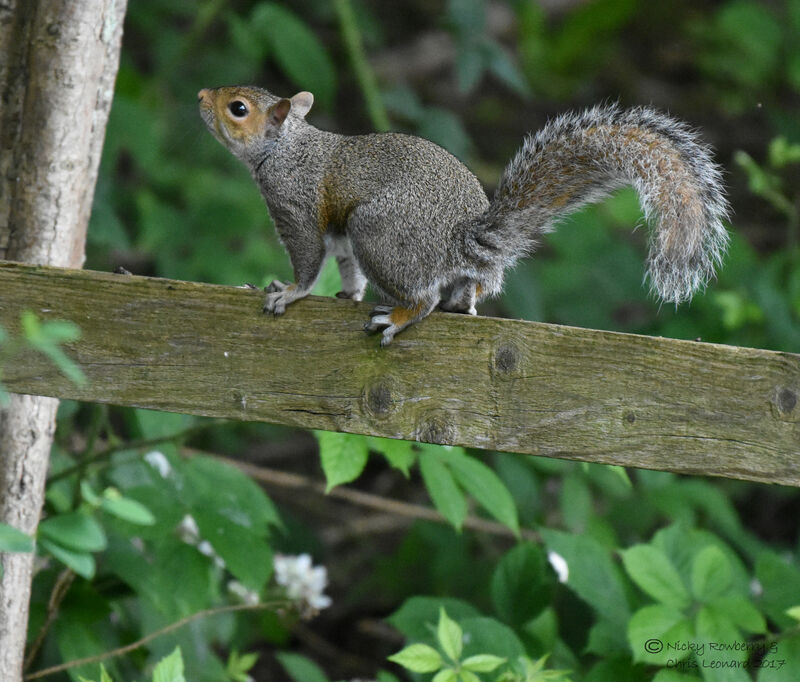 It did have this rather splendid squirrel though, clambering about on the other side of the water. No canal would be complete without the ubiquitous duck! This male was doing a lot of flapping about, trying to impress the female probably. 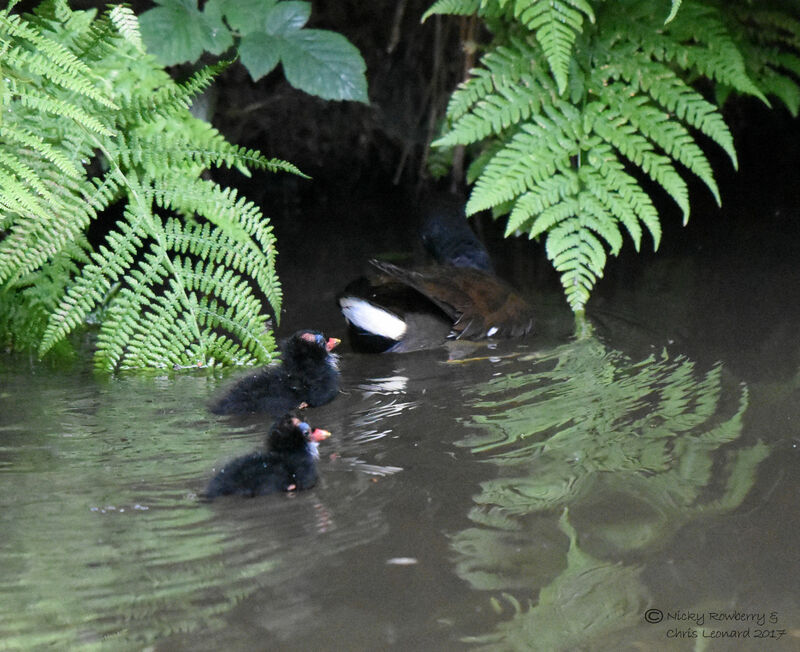 There was also a delightful family of moorhens. 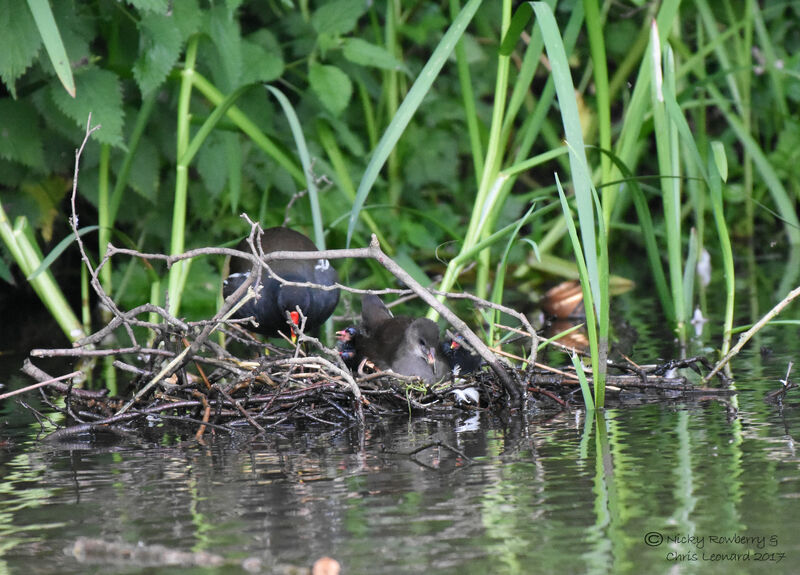 They’d got a nest that looked more like a raft – not sure what it was attached to, but it seemed solid enough for them to walk on. You can just about make out the 2 chicks in there. We saw either the same family or possible their neighbours later on the walk. The chicks were tiny but still swimming strongly. Having watched the latest Springwatch series, we’d learnt that birds can be either altricial – born more or less helpless, or precocial – up and running almost straight away. 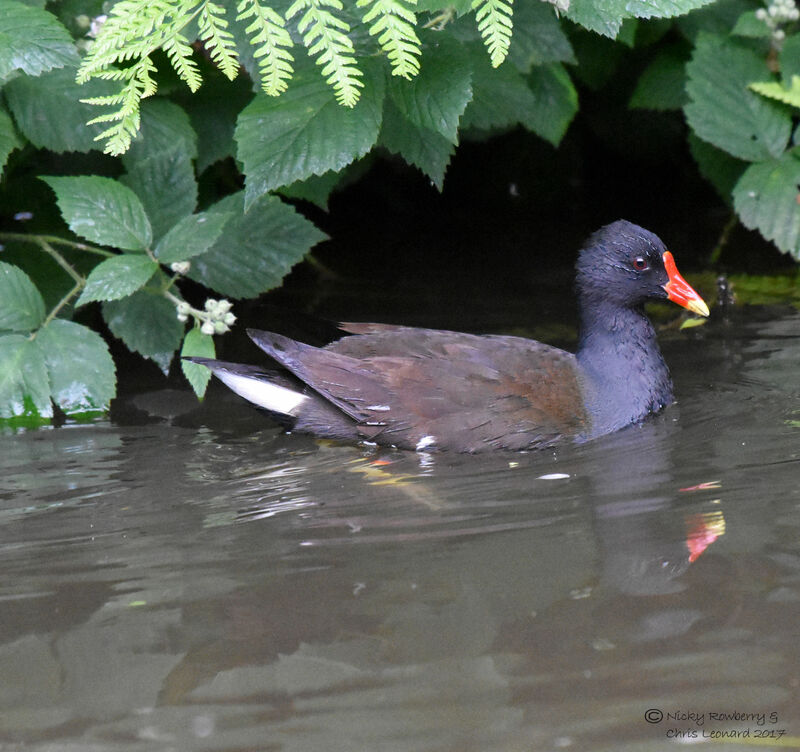 I’m guessing moorhens come into the latter category. The ground the far side of the canal was mainly open farmland with some wooded areas. Most of the wildlife we saw was that side, probably because we were all the other side. 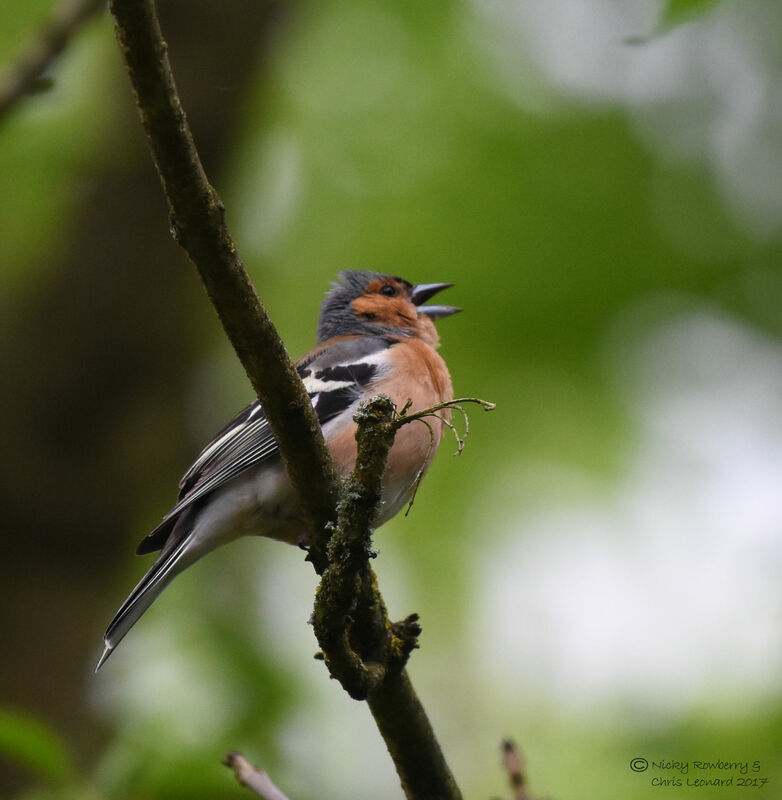 Chris spotted this chaffinch singing his socks off in the trees. 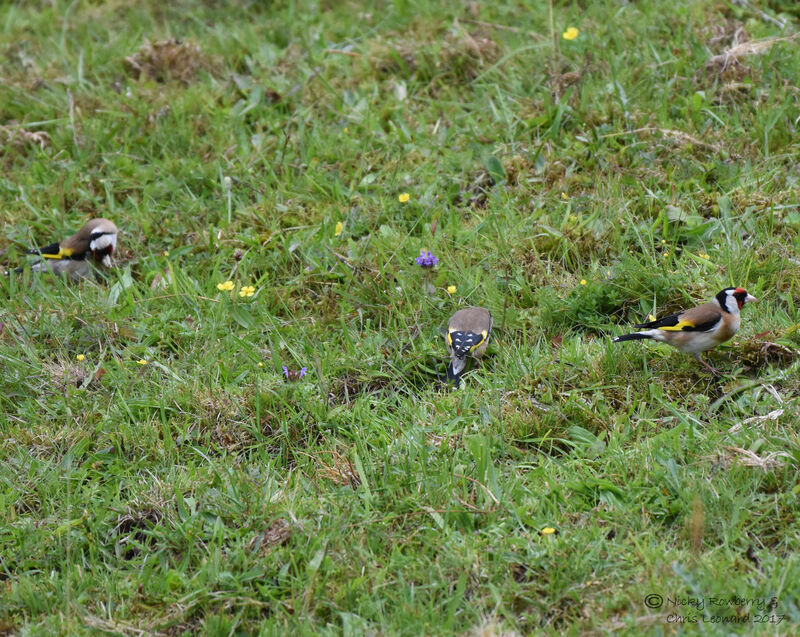 And we all saw a flock of goldfinches land on a grassy bank and start pecking away at seeds or insects. There were probably about half a dozen, but they were a bit spread out, so Chris did well to get three in one shot. 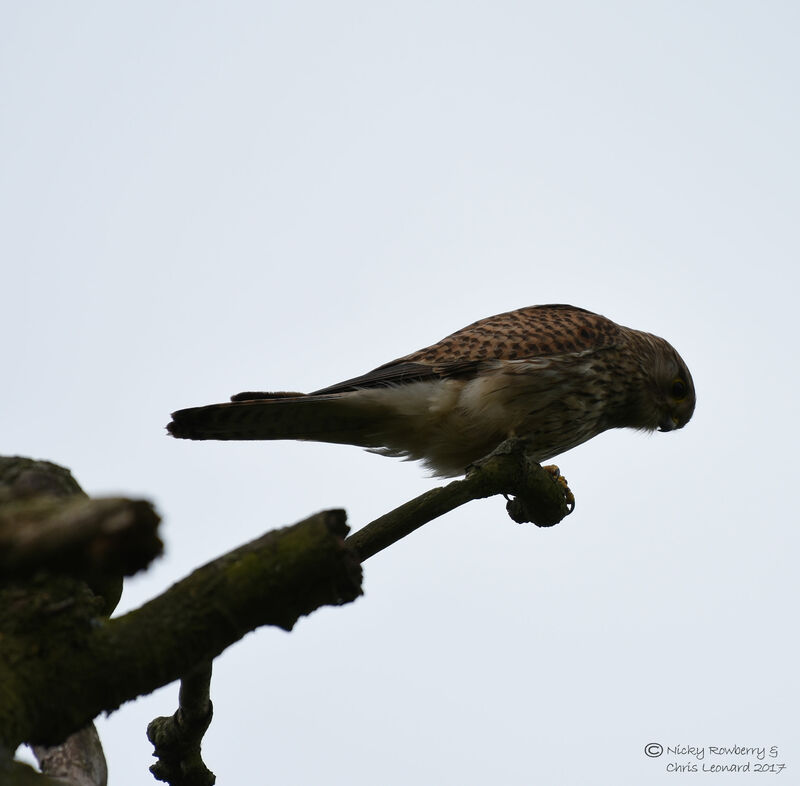 Spot of the day goes to this kestrel though that landed in a large, old dead tree – the perfect vantage point for scanning for prey across the fields. 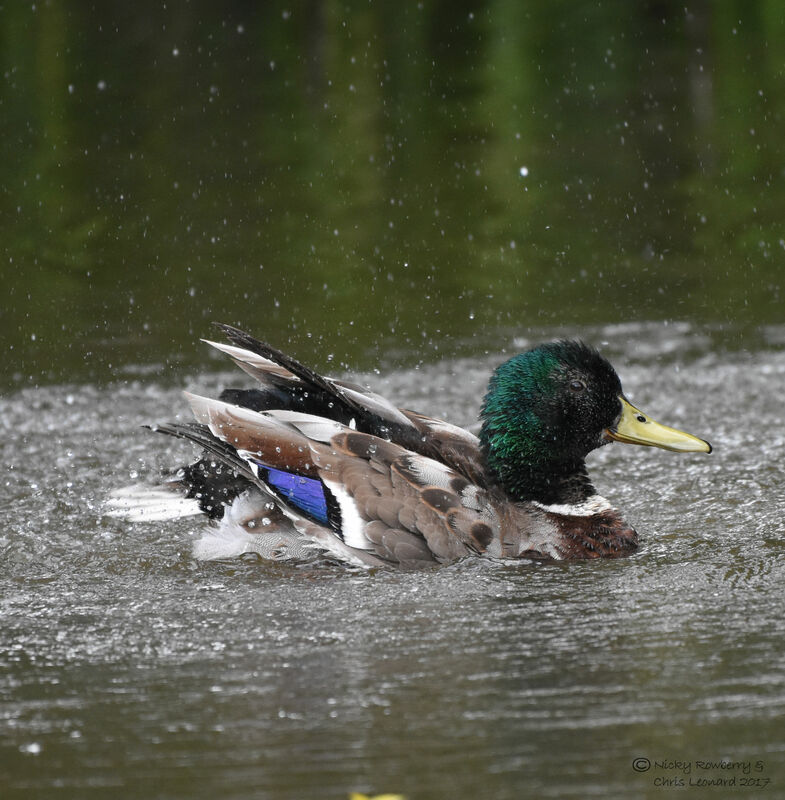 Not ideal photograph conditions against the white/grey sky, but he was still a beautiful sight all the same. I’ve never been on a canal holiday, but always quite fancied it. The idea of pootling along watching the wildlife and of course stopping at friendly hostelries along the way certainly appeals. 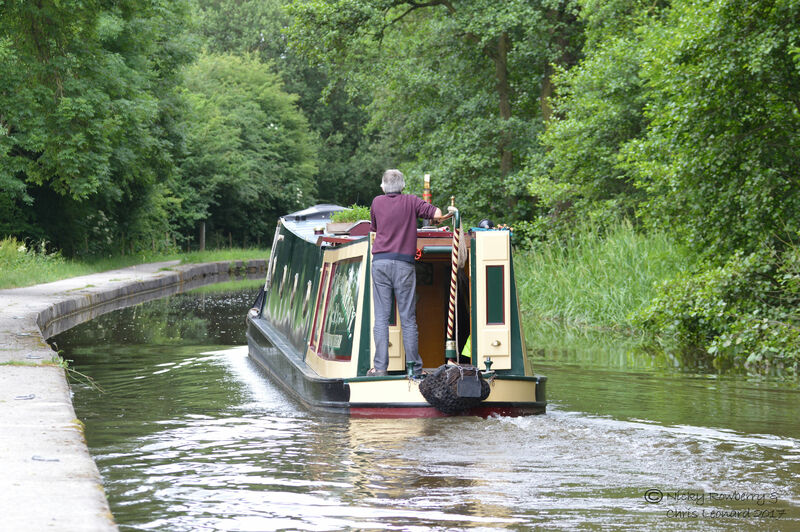 Judging by the amount of wildlife we saw in a very short walk, the views on a full barge holiday must be amazing. Maybe next year? ← 30 Days Wild – Day 23 – Festival Season!